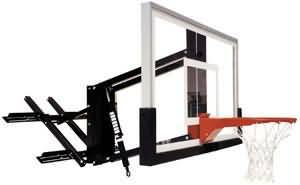 The Roofmaster Turbo is a premium quality residential adjustable wall mount basketball goal that can be used indoor or outdoor. Solid as a rock and at a great price! Approx. Shipping Weight: 248 lbs.